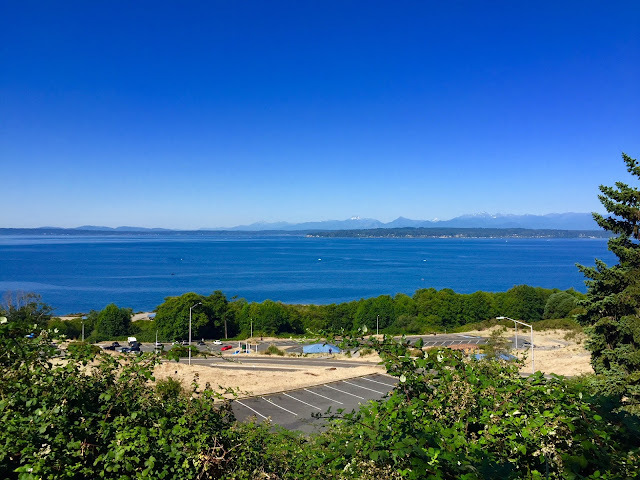 Did you know that there is a trail that runs around the rim of Richmond Beach Saltwater Park? You get some pretty amazing views from there. This weather is great for photos - I have gotten many beautiful sunsets, and scenes on the water, with all the details crisp and clear. The funny thing is that those of us who live here seem to adjust for the grey skies and haze. We think that it always looks like this photo. When I publish photos from other times of the year, people complain about how dark they are. Hey folks - that's what it usually look like here!